EghtesadOnline: Leader of Islamic Revolution Ayatollah Seyyed Ali Khamenei has named the new Iranian year, which began on March 21, the year of "Boosting Production" to help shore up Iran's sanctions-hit economy without reliance on other countries. "This year, production is the main and pivotal issue because an increase in production will help solve livelihood problems and unemployment, and make the country independent of foreigners and enemies. It can also help resolve the problem of the national currency’s devaluation to a great extent," the Leader was quoted as saying by his website. The Leader emphasized the importance of insulating the economy from sanctions and hostile foreign activity in a speech in the holy city of Mashhad, the capital of the northeastern Khorasan Razavi Province, on the first day of the Iranian New Year. US President Donald Trump's pullout from the 2015 international nuclear deal with Tehran last year and subsequent reimposition of financial, industrial and energy sanctions have sent the rial into a tailspin. The weak currency, galloping inflation and diminishing purchasing power have been the main reasons vexing Iranians in recent months, Financial Tribune reported. Washington has vowed "maximum pressure" on Iran's economy to force it to accept tougher limits on its nuclear and missile programs, and alter its regional policies. Iran has rejected any renegotiation of the nuclear deal enshrined in the United Nations Resolution 2231. 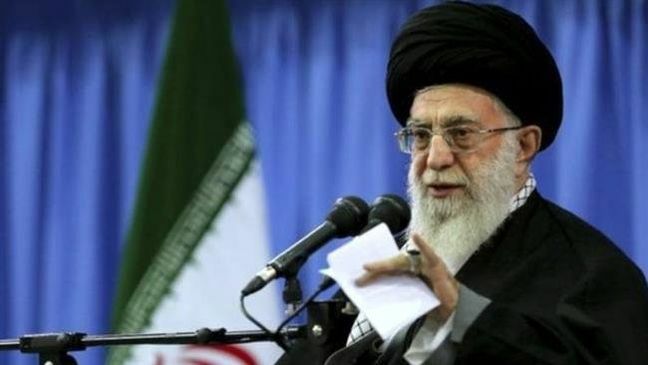 Ayatollah Khamenei said the Islamic Republic has successfully resisted the US political and economic pressures so far, adding that the most urgent priority is to tackle economic challenges such as the decline in production and the currency’s value. "These problems can be partly attributed to economic mismanagement, which should be fixed," he said, reiterating that "boosting production" is key to solving problems besetting the country. "The enemy is at war with us. We will defeat the enemy, but this is not enough. We have to create deterrence and reach a point where the enemy understands that they cannot harm us through economic means and exert pressure on the nation," he said. Just as sanctions helped make Iran self-sufficient in the defense sector during the Iran-Iraq war in the 1980s and the following years, the country can consider current sanctions as an "opportunity" to introduce much-needed financial and economic reforms, and achieve self-reliance in the field of economy, he added. Both sanctions and identification of shortcomings can be a "valuable experience", which can help set the country on the path of further development, Ayatollah Khamenei said. "Experience has shown that the pressure resulting from reduced oil revenues can serve as a strong motivation for our country or any other similar state to introduce economic reforms and lessen its reliance on oil." The Trump administration has been seeking to bring oil exports from Iran, an OPEC producer, down to zero but has granted temporary waivers to several buyers to meet consumer energy needs and avoid a price spike. The Leader said Iran is determined to enhance its military might despite mounting pressure from the United States and its allies to curb its ballistic missile activities. "The enemies acknowledge that Iran has advanced defense capabilities and are seeking to use this as a pretext to put pressure on the country. However, their attempts will fail, and the Islamic Republic will continue to bolster its defense." In his speech, Ayatollah Khamenei advised officials not to place their hopes on Europe to help the country counter US sanctions and instead focus on domestic potential. "The only path toward economic deterrence is to give up hope on the West," he said, adding that westerners have proved time and again throughout history that they cannot be trusted. He stated that the European signatories of the nuclear agreement have failed to safeguard Iran's economic interests and described the channel they have opened for non-dollar trade with Tehran to bypass US sanctions as a "bitter joke". He was referring to the financial system known as the Instrument in Support of Trade Exchanges or INSTEX, which will initially be used only for smaller trade, for example humanitarian products and food, rather than oil-related transactions as repeatedly demanded by the Islamic Republic. However, the Leader said his comments should not be interpreted as a call to "sever" ties with western countries. "I have repeatedly encouraged different administrations to develop ties with different countries, even European ones. However, we should not follow them, or trust them," he said. Ayatollah Khamenei said many of the difficulties facing Iran are rooted in "trusting" the West in negotiations, decision-makings and agreements, and called on officials to be wary of their tactics. In a message to mark the New Year, President Hassan Rouhani, who won two landslide elections on a platform of opening Iran up to the outside world, defended his record and pledged to help implement economic reforms. "The new year is aimed at boosting production and creating jobs for our dear young people, and we will spare no efforts toward this end. The new year is the year to control inflation, balance the foreign currency market and expand friendship with all our neighbors," he was quoted as saying by his website. He added that the current economic hardship was primarily caused by US sanctions, which are meant to create divisions among Iranians. "The enemy wants us to stand against each other," he said, calling on the country's political factions to end the blame game and infighting, and unite against ill-wishers instead. Rouhani engineered the nuclear accord with world powers to usher in a cautious detente with Washington before tensions flared anew with the US administration's decision to quit the deal and reinstate sanctions on Tehran. He has faced heavy criticism ever since. The president said domestic mismanagement, which predates the 1979 Islamic Revolution, has added to economic woes and everyone should take responsibility to help ameliorate the situation. Rouhani also noted that America is mostly isolated in its hostility toward Iran. "The enemy was under the impression that the entire world will stand by it, but all countries, except a few nations, expressed their support for the Iranian nation," he declared. In a video message released on the occasion of the Iranian New Year, Foreign Minister Mohammed Javad Zarif called US sanctions "unprecedented, inhumane and illegal" and said Tehran would overcome the "medieval tactics" employed by Washington, IRNA reported. "We rely solely on our own people to overcome all challenges. But we also welcome constructive engagement, including with the expanding array of nations that are equally sick and tired of the US bullying," he said.